August was a pretty crazy month from getting engaged to graduating from college to seeing family and spending time with sisters. I'm so grateful for the amazing time I had, but I'm also glad I am getting back into the swing of things. Now that everything is slowing down, I've been thinking about who I want to be as a graduate. I absolutely love my job, but I feel like I can be something more outside of it. Ross is such a huge risk taker. When he graduated, he had a lot of job offers with steady paychecks. However , instead of taking the comfortable route, he jumped on an opportunity to do some contract work that eventually led him to starting his own custom software development company. Honestly, I would have gone down the predictable future route. I'm horrible at taking risks, but Ross has taught me that if you don't put yourself out there, nothing will happen to you. I sit around saying I want this to happen and that to happen, but I'm scared of failing and so those ideas never come to light. You know what I mean? On this Monday, I'm making a promise to take a chance on myself. Failing isn't the worst thing in the world that could happen. It's just another opportunity to try something a different way. So, if there's something you want to do, but just haven't had the guts to do it, make the promise with me today to make it happen. 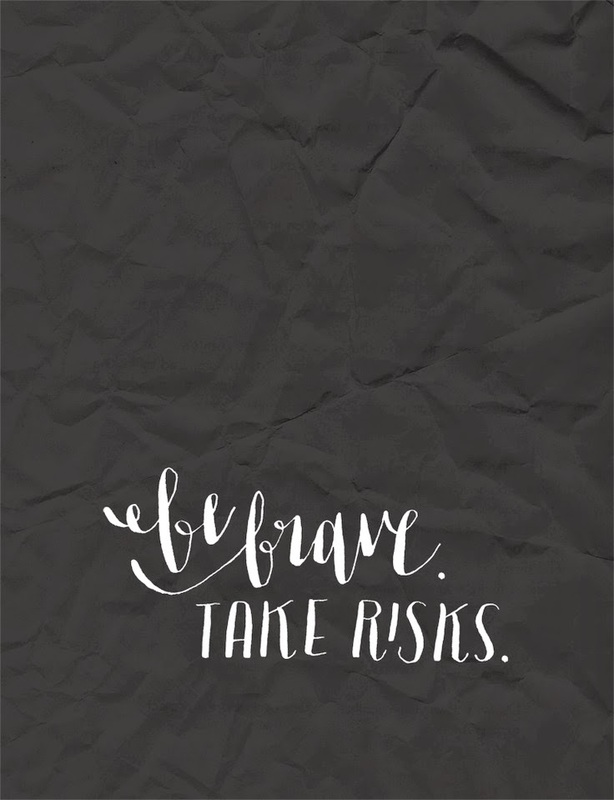 Let's be brave and take risks.